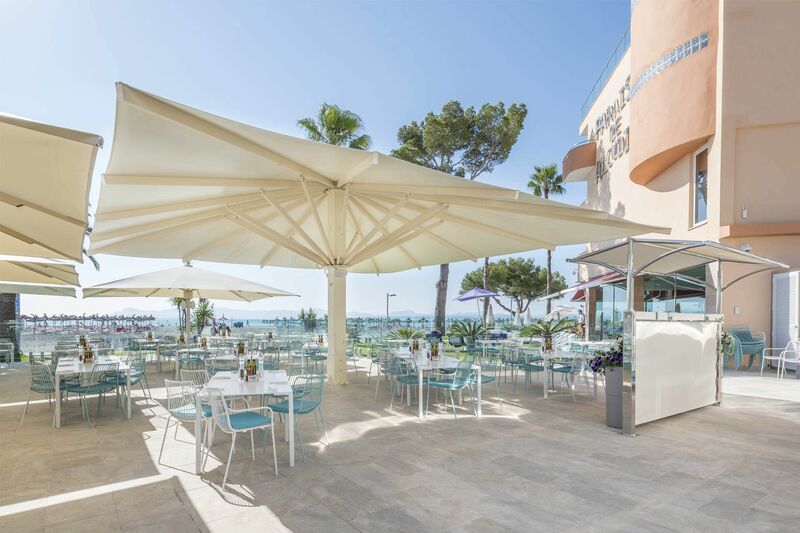 Paraiso hotel , 4 stars, is located on the same beach of Puerto de Alcudia. 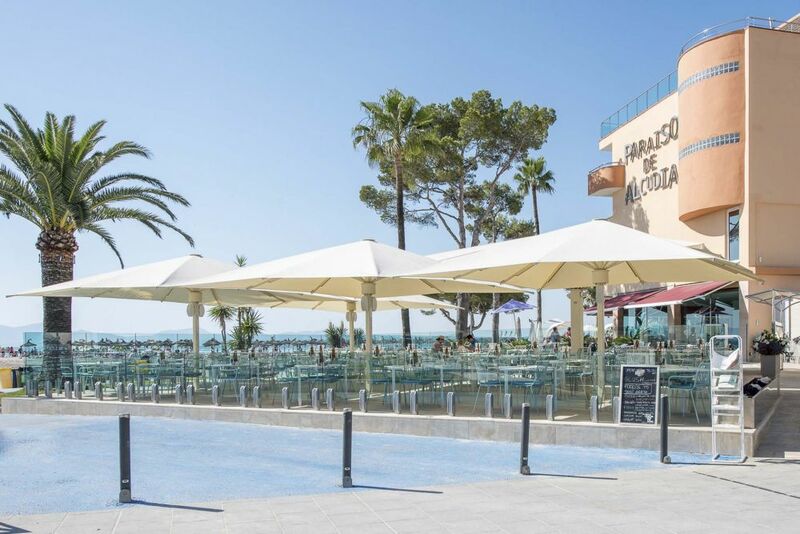 This year the beach competes to be considered one of the ten best in Spain. 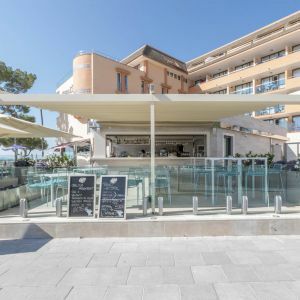 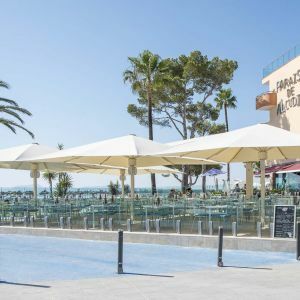 The objective of this project is to cover a terrace of about 2000m², with different environments such as a restaurant, an ice cream parlour and a bar where fast food is served. 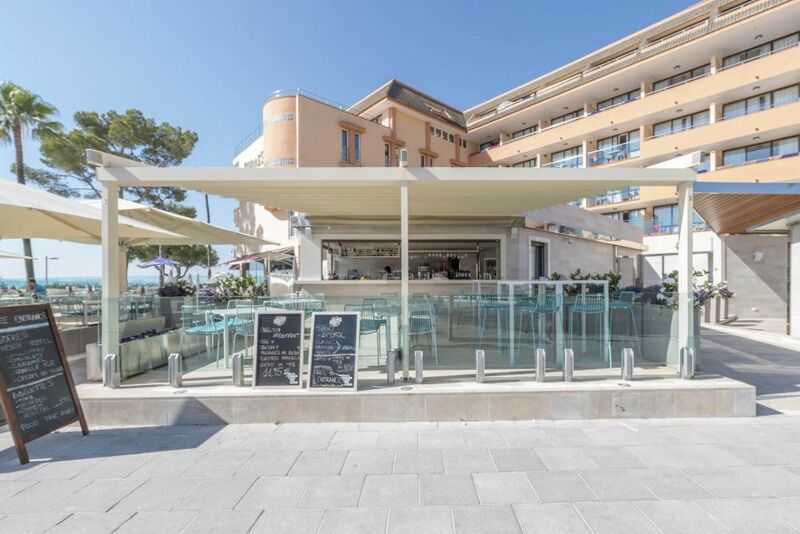 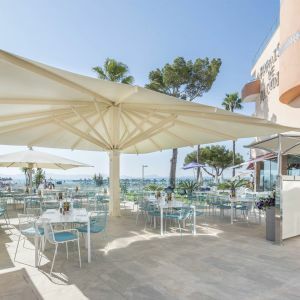 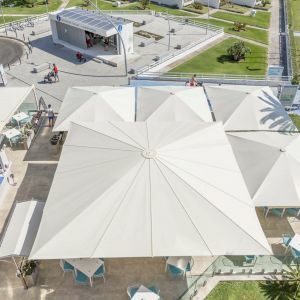 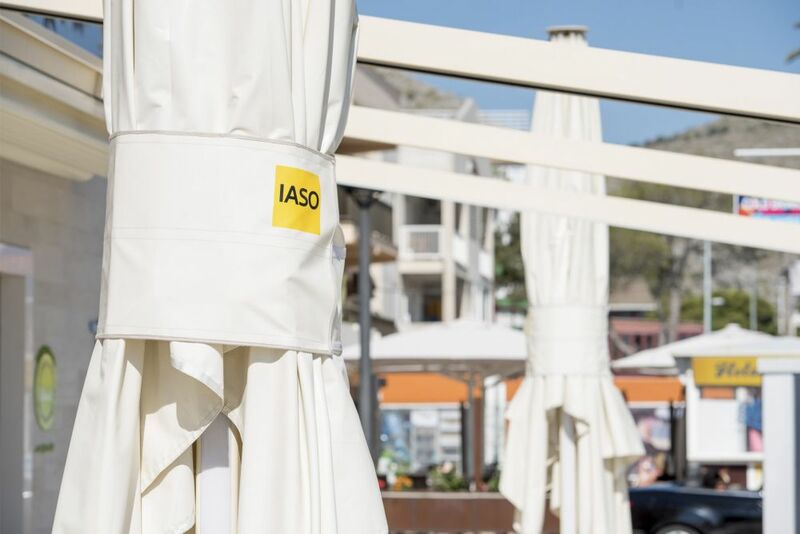 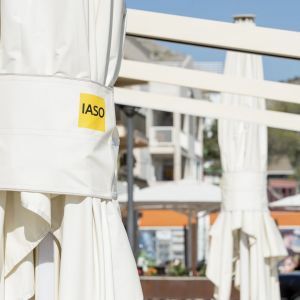 The beach of Puerto de Alcudia stands out due to its 9 kilometres of leisure with restaurants and hotels, of which we must highlight the project at the Hotel Paraiso where IASO has installed an Adonis umbrella, seven Azores umbrellas and two Nian model pergolas. 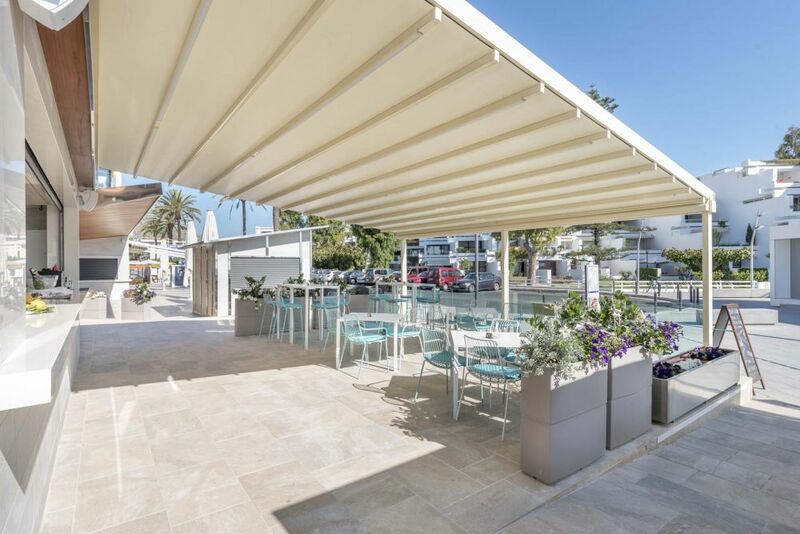 The project consists of two phases, in the first phase the products mentioned above are installed and in the second phase there is provision to do it next 2018. 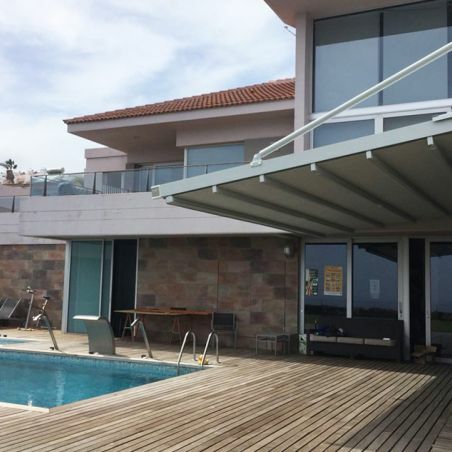 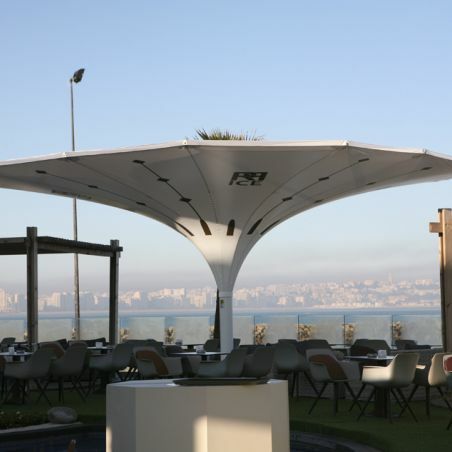 In this first phase we installed an Adonis 9x9 meter umbrella, and seven Azores 5x6 meter umbrellas. 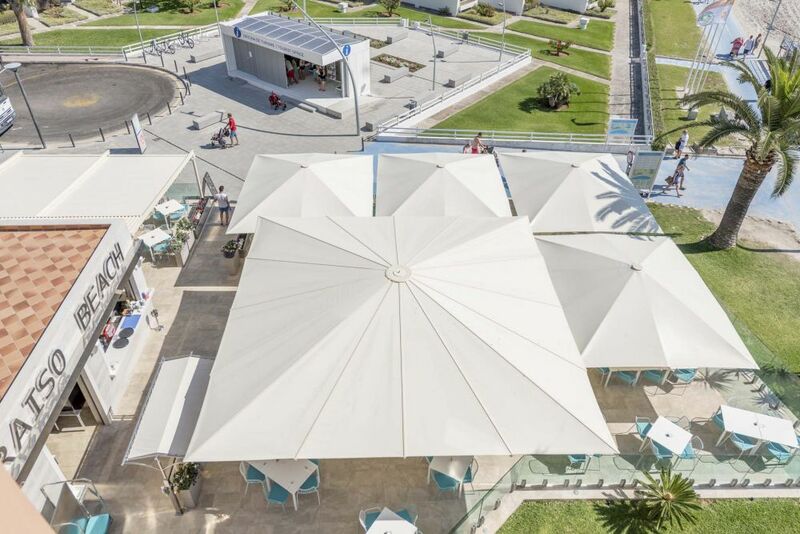 All of them cover a total of 300m² approx. 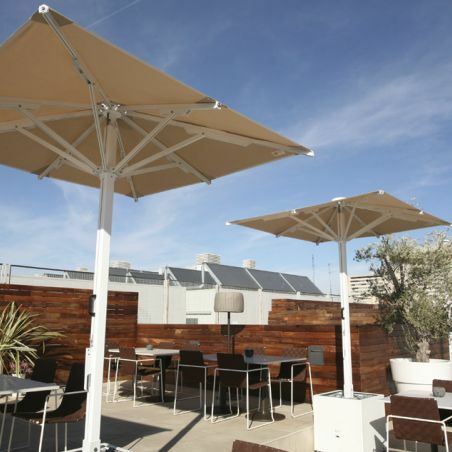 and are fully equipped with an opening and closing motor, heating, audio and lighting. 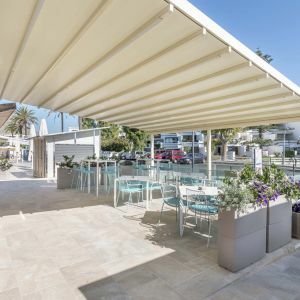 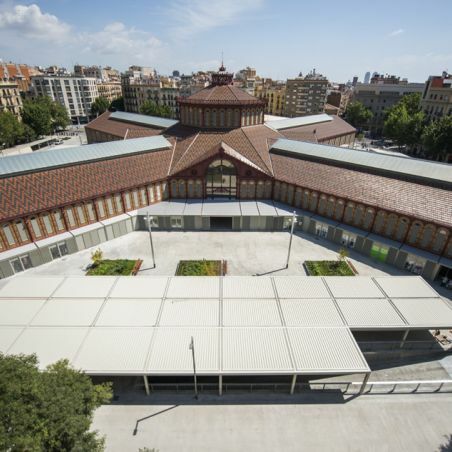 One of the other exterior environments has been equipped with two Nian model pergolas, one with measurements of 7.35x6.82m and another one of 6.80x5.92 meters and both with lighting and with opening motorization. 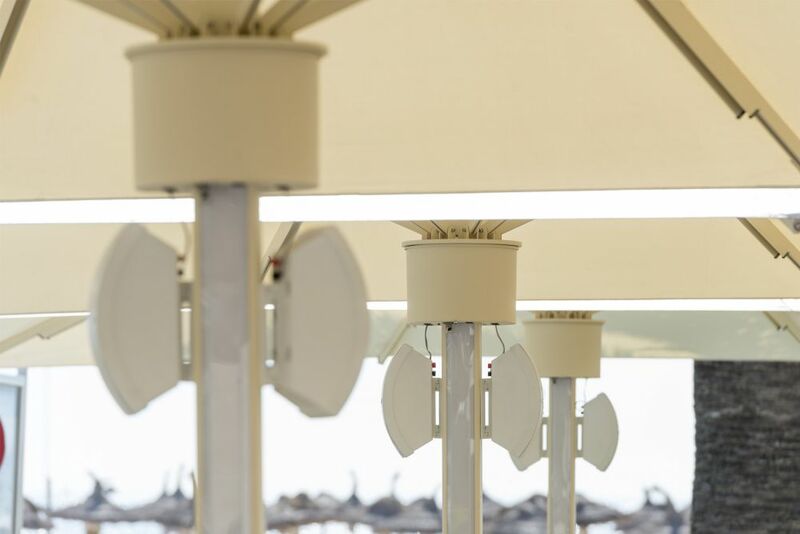 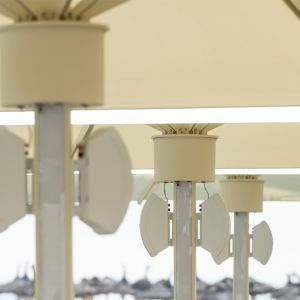 The operation of the umbrellas and pergolas, whether opening or closing, lighting, heating and audio are managed through radio.